So why the heck aren’t they, you know, actually opening your mortgage newsletter? According to statistics from MailChimp, email newsletter opening rates actually run from as low as 10% to 30%, usually hovering somewhere in-between. As the facts show, most mortgage newsletters will go straight to the trash folder. That may seem like good news when referring to your competitors, but don’t forget that this means your newsletters will likely suffer the same fate. Unless you can find ways to make your newsletter more engaging. Avoid boring subject lines. Even the boring word “newsletter” created an 18.7% decrease in opening rates. If that’s not a wakeup call for the mortgage newsletter, I don’t know what is. Focus on your customer’s benefit rather than simply highlighting what’s so interesting about you. Most people are reasonably self-centered; they want to know what’s in it for them. Write simply. What creates more intrigue: “Open this” or “You just may want to find out what’s inside…”? It’s the former. Don’t “over-do” the mystery. The less you rely on traditional marketing gimmicks, the less the chance your mortgage newsletter recipients will roll their eyes. For now, that guide on writing an email subject line is sufficient to make your newsletters that much more appealing. But don’t forget; the inside counts just as much. Consider the classic example of the boring company newsletter. They feature news on their company. Promotions. Press releases. Pictures of events you don’t care about. Offers that have nothing to do with you or why you signed up to their newsletter in the first place. If your mortgage newsletter is filled with nothing but the same, you’re essentially teaching people to toss your newsletter in the trash right away. Don’t train people to toss your newsletter. If you have an open rate less than 20%, according to LaunchBit, then you need to step your game up. This means not only creating interesting subject lines, but actually rewarding the people who click past these subject lines. Giving your customer something they can actually use. A mortgage calculator is the classic example. But don’t be afraid to step outside the box for even more fun. What will make your newsletter worth opening? Put the best stuff first. Remember that your email newsletter should include the most enticing stuff first. Company news, updates—that can go “below the fold,” so to speak. Let people skip that stuff if they want—but make it their choice. Aim for consistency. If someone opens your newsletter once and finds out that it was worth their effort, they’re far more likely to give you another shot next week, or even next month. True: it will take a little bit of extra work to make your newsletters worth opening. But even just sitting down and asking yourself, “what will people get out of this?” can be enough to change the way you create each mortgage newsletter. Consider the average Internet user’s experience with their inbox for a moment. If you’re like most users, you look through your emails with only the most fleeting attention. It takes only a split second to decide if what you’re seeing deserves your attention or belongs in the trash bin. This is your audience. They’re making these quick decisions, too, and if your newsletter looks too complicated to warrant even a simple click, your newsletter is going straight to the trash. Fortunately, this one is an easy fix. In fact, it may even cut down on the amount of work you put into producing your mortgage newsletters. Your first priority should be simplicity. Each newsletter should include one major offer or piece of content, deliver maybe a few updates, and then call it a day. If your newsletter is a monthly recap of everything that’s gone on in the mortgage industry, then you’ve created a reading experience that the average Internet user never asked for. Do you really think they’re going to sift through all of that information in order to find the diamonds in the rough? Of course not. They’re not going to do your work for you. 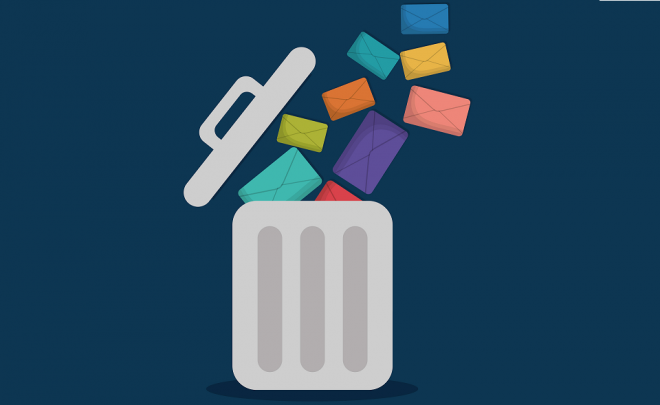 They’re going to move your newsletter to the trash bin or—worse—unsubscribe altogether. The more simple and direct you keep your email newsletters, the better off you’ll be. Not only does this make it easier for your readers to scan them for any value they might want, but it will reduce the amount of work you have to put in on a month-in, month-out basis. One of the major services we offer at leadPops include conversion plugins for e-newsletters. Why? Because your newsletters need to actually go somewhere. Mortgage newsletters in 2016 and beyond are more than mere information sheets. They should be stepping stones capable of creating new leads. Your audience, unfortunately, don’t want to become new leads unless you have something for them to do. There should be something urgent about your newsletter, whether it’s as simple as a call to action at the end of a simple letter telling them why they need to check out their mortgage readiness. That’s why it’s so vital that you create some call to action at the end of your newsletter. People are more likely to open up your newsletter in the future when they see that your emails have a purpose. Send them a bit of information that does them no good and they’ll throw you out with the rest of the email trash. Show them that keeping your newsletters handy might actually benefit them, however, and you’ll have a loyal audience. If this all sounds like too much to digest at once, remember that it’s possible to turn your mortgage newsletters into lead generators with some simple plugins. And those plugins can be provided by leadPops. Keep all of the tips you learned today in mind when you create your e-newsletter and you’ll likely find that you have a stronger audience at the end of the day. And to make it all work out, consider signing up for a free trial of leadPops, even if it’s to simply put your toes in the water. You might not only increase the amount of people who open your emails—you may change the way your business acquires leads.